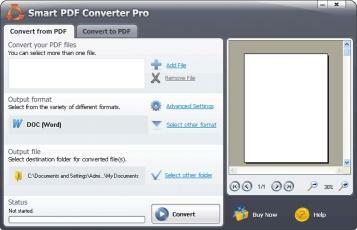 Smart PDF Converter Pro is easy to use and extremely helpful. It will let you convert your PDF files to several formats: HTML DOC RTF XLS JPEG TIFF and TXT.  You can convert your PDF to a single webpage or add buttons to your HTML so you can scroll from one page to another with one click of a button. You can convert to an easily editable .doc file or use the exact method if you need an exact layout of the file. You can convert to single or multiple-sheeted Excel file. Smart PDF Converter Pro can convert to JPEG and TIFF for which you can set different resolution and quality. Smart PDF Converter features unique but yet simple interface all you need to do is to add your PDF file into the software set an output format an output folder and press Convert. The software features an advanced settings menu from where you can choose different conversion methods. After you convert and edit your PDF files you can easily convert them back to PDF format. Smart PDF Converter features a complete instructions manual. If you can not find an answer to your question on our webpage or in the Help section please contact us at support@smartpdfconverter.com.